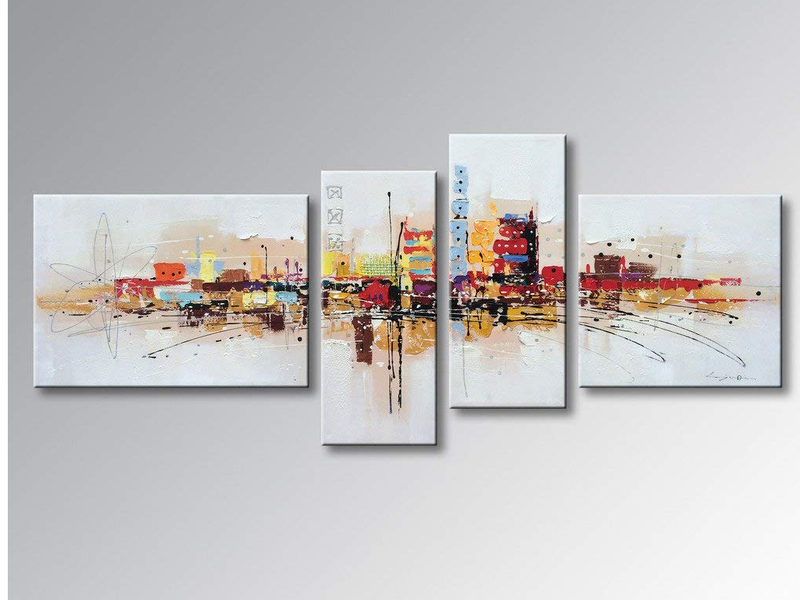 This stunning Contemporary Abstract Cityscape Painting is perfect for any city home or apartment. A good choice because it is a modern and unique work of art. A wonderful gift idea for a housewarming party or any other occasion. 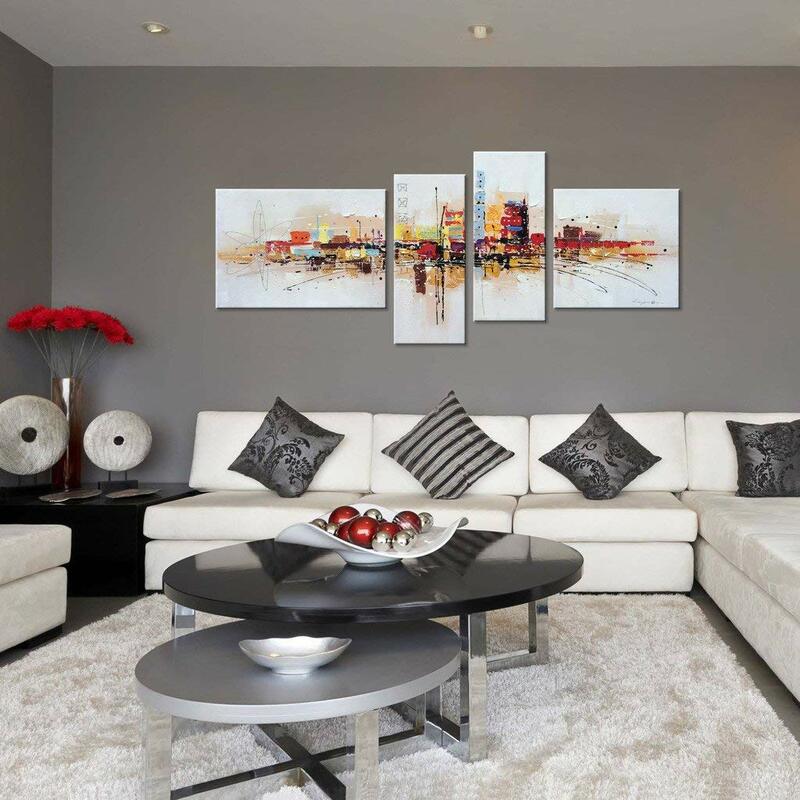 Any city dweller is sure to love it because it is stylish and vibrant. The artwork comes ready to hang on gallery stretched canvas. Original oil paintings such as this can be expensive. This one is available at a price of $130 which is a great deal for such a cool piece. You can hang this oil painting anywhere in your home. This is also a good choice for the office because it is colorful and interesting. You can hang this in a living area or create a cool effect by hanging in a room with views of the city. A great way to add some color to any room decorated in neutral colors. 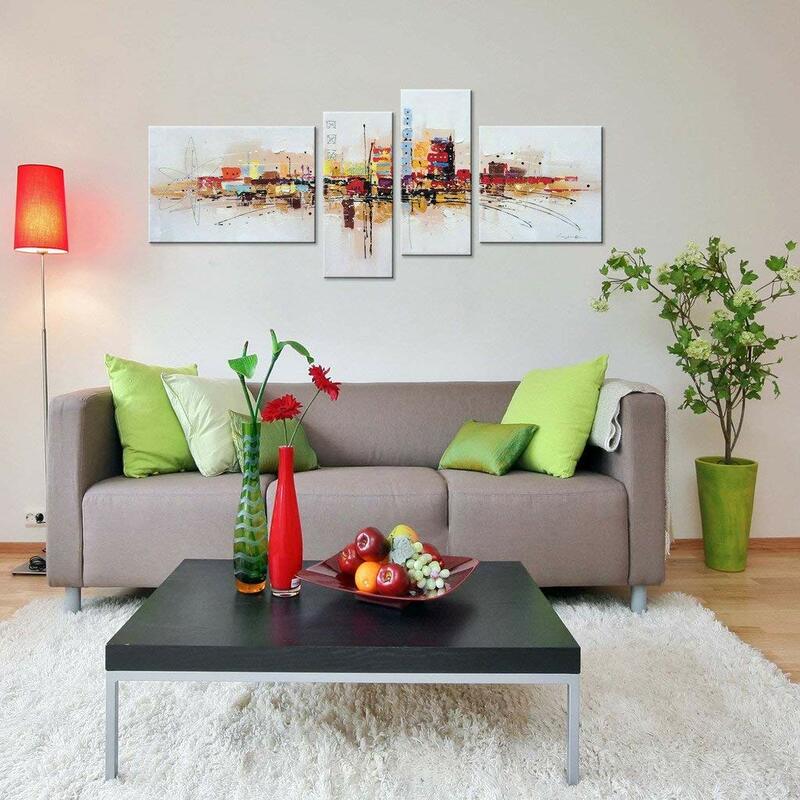 You can also add some color and style to an industrial style or colorful room. 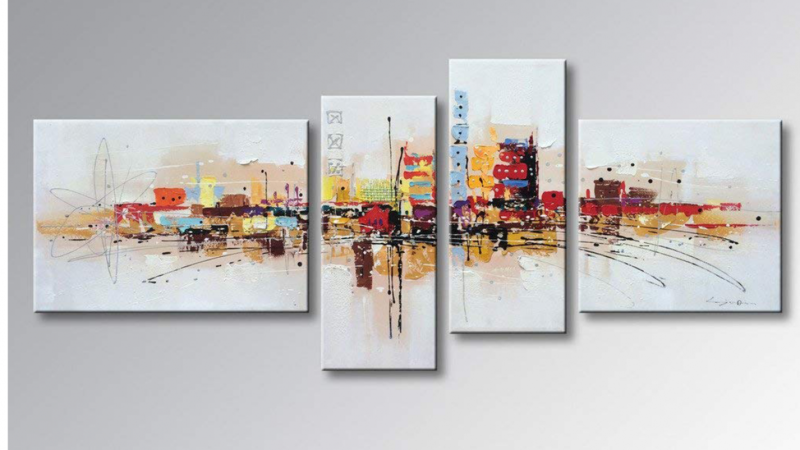 There are four hand painted canvases in this set that include one 20 inch by 32 inch canvas, two 16 inch by 32 inch canvases and one 20 inch by 20 inch canvas. The size of the artwork when canvases are hung together is approximately 84 inches wide and 40 inches high.